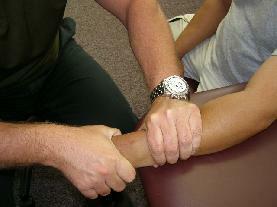 Joint mobilization is a type of passive movement of a skeletal joint. It is usually aimed at a 'target' synovial joint with the aim of achieving a therapeutic effect such as improving joint mobility. When applied to the spine, it is known as spinal mobilization.